imToken is a multi-chain cryptocurrency wallet. imToken is a light cryptocurrency wallet for Ethereum-based cryptocurrencies and decentralized applications (dApps), Bitcoin, and EOS. The company was founded in May, 2016 by Ben He and is headquartered in Hangzhou, China. ﻿The imToken 1.0 wallet only supported Ethereum tokens based on the ERC20 Token Standard and, according to imTokens website, became the worlds largest Ethereum wallet. 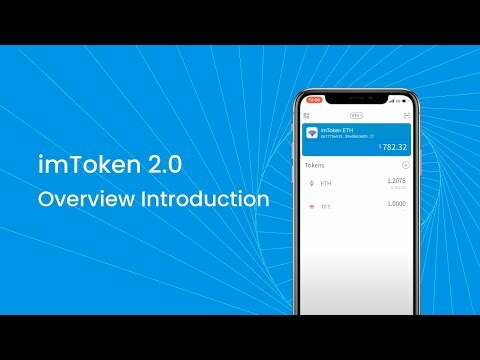 ﻿imToken 2.0 is a multi-chain cryptocurrency wallet that allows users to use one identity to manage multiple wallets with one mnemonic. phrase. The imToken 2.0 wallet retained the functions of imToken 1.0 and added the ability to manage both Ethereum (ETH), Bitcoin (BTC), and EOS (and EOS tokens). Upon the release of imToken 2.2.1 the wallet introduced biometric verification that allows users to send tokens after verifying their identities with face ID & their fingerprint. imToken biometric verification vs. password. Software that uses public-key cryptography to securely store one or more cryptocurrencies such as Bitcoin, Ethereum, etc. in a digital address.